Jason represents exclusively plaintiffs in commercial contingency representation, class action litigation, antitrust, and unfair competition. He is involved in all aspects of civil litigation and has handled cases in both federal and state courts, in litigation and at trial. For the past several years, his practice has involved primarily antitrust and consumer class actions, often representing the largest plaintiff class members in nationwide antitrust actions. Jason has successfully represented plaintiffs in federal Section 1 (conspiracy) and Section 2 (monopoly) Sherman Act cases and in state law actions alleging unfair business practices, false advertising, pharmaceutical “sham patent” and “pay-for-delay “cases, among other claims. He has developed an expertise litigating against foreign defendants, most notably in Asia. Jason has represented a number of Fortune 500 companies as plaintiffs and served as lead counsel and in senior litigation roles in numerous class actions, which have collectively recovered billions of dollars for plaintiffs. Jason has obtained notable results for his clients in numerous groundbreaking decisions and on issues of first impression. For example, he obtained the first ever certification of a class of purchasers in a patent related Walker Process antitrust claim (Alfred T. Giuliano, et al. v. SanDisk Corporation, Case No. 4:10-cv-02787, ECF 302 (N.D. Ca. 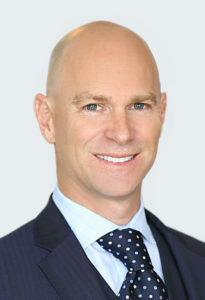 2015)); he obtained the first and only court-ordered denial of ACPERA protection claimed by Defendants cooperating with the Department of Justice, thus increasing three-fold the potential damages available to the plaintiffs he represented (In re Aftermarket Automotive Lighting Products Antitrust Litigation, 2013 WL 4536569 (C.D.Ca. 2013)) and he obtained the denial of a motion to dismiss based upon the Foreign Trade Antitrust Improvements Act (“FTAIA”) in a case that helped set the standard for FTAIA dismissal motions (Fond du Lac Bumper Exchange, Inc. v. Jui Li Enterprise Co. Ltd., et al; 753 F. Supp.2d 792 (E.D.Wis. 2010)). Jason speaks regularly at CLE seminars on class action and antitrust issues and has published a number of articles on those issues.